I didn't know what to title this post - is it "Foodie Gifts" or "Cookbook Watch"? Because this is a fantastic old set of cookbook that my darling big sister Ehva gave me. It's a fairly famous cookbook, called the Princesses' cookbook (wasn't very hard to translate, was it? ), and written by Jenny Åkerström back in the 1920:s. My edition is printed in 1931, and in fantastic condition. I have the first four books - I think there might be more, but I'm not completely sure. (Nor do I really care, I'm perfectly happy with these.) Jenny Åkerström had a domestic school in Stockholm, where she educated future housewives, including the three princesses Märtha, Margareta and Astrid. Hence the title of her very popular book - this was printed in many, many editions, but it is now rather hard to find. So, is it useable? Well, sure it is! But it *is* old. It's supposed to have the original recipe for Princess Cake, but I haven't found it so far. (I've only had quick leaf-through just yet.) And some of the things.. well, I guess offal meats were pretty popular back then, as was gelatin in many different shapes and forms. But it's amazingly fun to be able to time-travel like this and see what was popular in a very different time. Of course, some things don't change - the books have a very well-filled chapter on ice cream! I just love this book and got it for X-mas from my mother in law. As you say, the recipe for the Princess cake seems to be missing. I wonder which book it is published in. Fast den heter inte Princesstårta i boken utan kallas för "Grön tårta" är den som sedan fick namnet "Princesstårta"
Okey, i min finns den trodde den fanns i alla. Fin bok är det iaf hur som. Oh I call my mom for her to check up things in her ancient cook book all the time ;), and I have some german recipes I cook from my paternal grandmothers cookbooks. My grandmother has been dead for quite some time now. On the "princess cake", prinsesstårta. I read something on that recently although I can't remember where. That it was not a cake made for the cookbook. It came later or was introduced later. Historik: Prinsesstårtan har fått sitt namn efter en tårta som Hushållslärarinnan och kokboksförfattaren Jenny Åkerström fått uppkalla efter sina elever, prinsessorna Margaretha, Märtha och Astrid, döttrar till prins Carl senior. 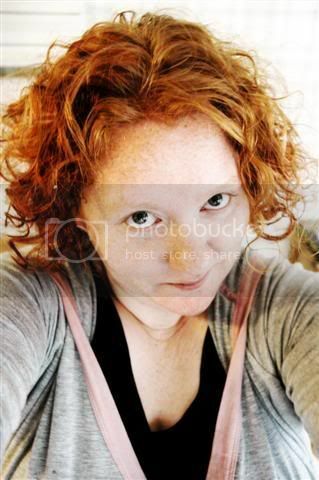 Om någon av prinsessorna någonsin bakat denna tårta är dock ovisst. Grön tårta ska finnas med i upplagan av prinsessornas kokbok fr o m 1939 enligt Klassiska kakor på nytt vis av Maria Öhrn. Visste att jag hade läst det NÅGONSTANS men var?! För många böcker, för lite tid ;). Do you know where I could find these books? It'd be great if you could help me. Gabriela - that's going to be a little difficult, but not impossible. Check http://www.antikvariat.net/ - an online resource for used books, with links to the stores that stock them. I'm sure there are decent copies out there - maybe not the exact edition I have, but there are many others. 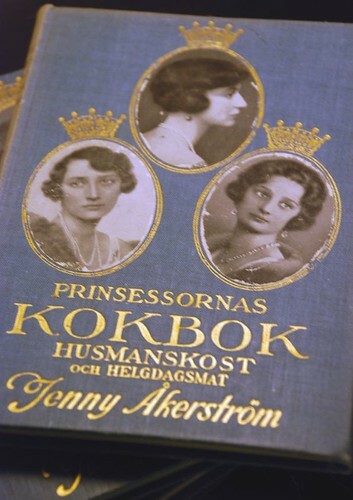 Hmm, jag har prinsessornas kokbok årgång 1941, och där finns inte "grön tårta" eller "prinsesstårta". Mystiskt. Try looking under "Green Cake" for the Princess Cake recipe. I read it was originally called Green Cake because of the green marzipan Let us know if you find it. The recipe is said to appear in the 1948 edition of the cook book Prinsessornas Kokbok: Husmanskost och Helgdagsmat (Princesses Cookbook: Home Cooking and Holiday Food) under "Green Cake". If you find the recipe can you post it?